Researchers exploring the depths of Siberia's Lake Baikal have found that its unique ecosystem has kept the water cleaner than previously thought, despite industrial waste. By far the worst polluter of the world's deepest and oldest lake is a large pulp mill on Baikal's southern shore. During recent mini-submarine dives, scientists have been taking deep-water samples near the mill, to assess pollution levels. "Dives carried out by the deep-water submersibles to date have shown that Baikal is a unique ecosystem that keeps itself in very good shape," the vice president of the Baikal preservation foundation told RIA Novosti. Samples gathered by the Mir-1 and Mir-1 mini-submarines will undergo extensive study over a period of several years, Mikhail Borizin said. "We can now talk about preliminary results. I can say that one of our main conclusions is that Baikal is far cleaner than initially thought," he said. Dr. Mikhail Grachyov, an expert on the evolution of the lake's flora and fauna, earlier said Baikal contains organisms that naturally absorb crude oil seeping through cracks in the bedrock. The lake has been the focus of major environmental scares in recent years, with a last-minute change to an oil pipeline route that was set to pass near Baikal's shores, as well as environmental regulators' claims against the Baikal Pulp Mill, accused of pumping large volumes of toxic waste into the lake. The Baikal Pulp Mill, built in the mid-1960s, is owned by Continental Management, a subsidiary of billionaire Oleg Deripaska's industrial conglomerate Basic Element. The mill plans to switch to a closed water cycle by September 10, a few days ahead of a government-set deadline. 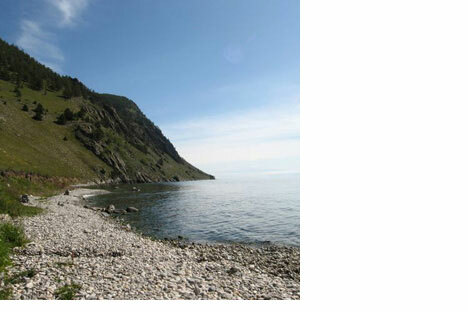 Baikal, a UNESCO World Heritage site, holds around 20% of the planet's freshwater.